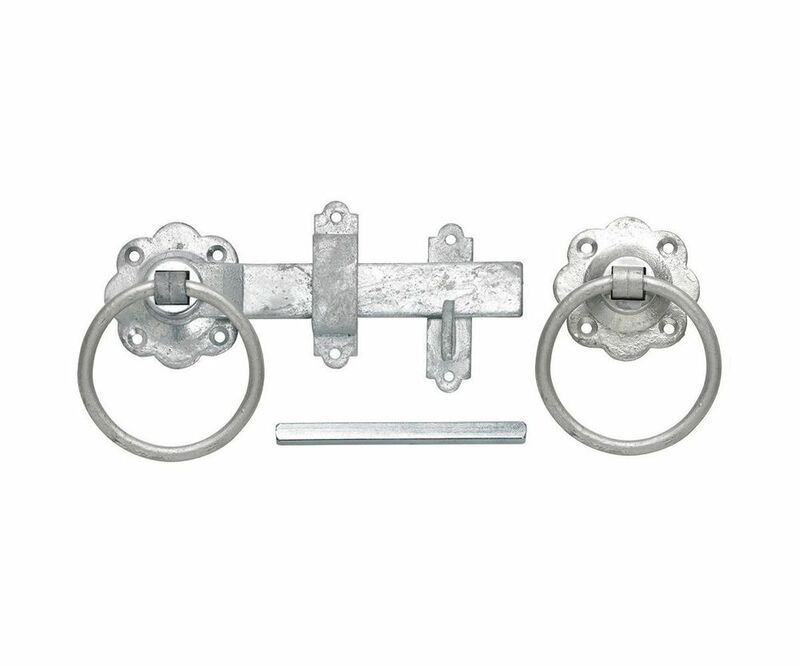 This plain ring handle gate latch in galvanised mild steel is hard-wearing and attractive to look at. The plain ring handle is always popular and ideal for lighter doors and side gates of up to 75mm thick. It measures 150mm in latch length with a spindle length of 100mm. The glavanised finish option offers strong weather resistance to prevent the build-up of rust and to ensure that your gate latch remains in perfect working condition for as long as possible.